If you are looking for great games you came to the right place. Train Sim: Train Simulator for the Android, iOS and Windows platforms, which has over 17 million downloads. Allows players of all ages to control over 50 unique train types over 9 scenes. Kids Car Racers – Endless Car Racing game for kids. Control the car by tilting your device, as well as bump the other cars & obstacles on the track. Available for Android, iOS & Windows Store. Kids Trains – Train Simulator for kids, control a train as it goes around a track. Activate the horn or bell, control speed. Stop and stations, switch between passenger, steam and freight trains. Pan/Zoom around the train or enjoy the ride as one of the passengers. Car Crashers – Most car games are about racing. This game is all about crashing cars. Pick a direction, launch your car and watch it fly off the ramp. The more things you crash into, the higher your score will be. 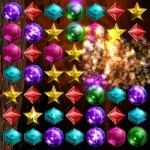 3 Jewels -The new Match-3 Jewels puzzle game with addictive gameplay. Swap jewels to match 3 or more and create waves of excitement in this fun and delicious puzzle game. Crush 200 Jewelled Challenge Levels & become the 3 Jewels Leaderboard Champion or simply enjoy the Endless stress free Matching Level. Jigsaw Puzzle X – Amazing jigsaw puzzles with 100, 300 and even 500 pieces; featuring beautifull high definition images that were hand picked from the best photographers and artist available. Paint The World – Liberate a fictional world from evil that has outlawed color and fun. Game about painting, splattering buildings, cars and trees with color in order to save the world from a monochromatic existence. Dinosaur Sim – Dinosaur Sim allows you to play as one of the 20 popular Dinosaurs. Fight your way to the top of the food chain or play as a peaceful herbivore in a realistic 3D environment. Aquarium Sim – Aquarium Sim is an interactive virtual Aquarium for your phone & tablet. Sit back, relax and enjoy a variety of marine & freshwater fish swimming about in a colorful coral reef habitat. Ant Sim – Play the role of an Ant in an Ant Colony, collect food for your Queen, dig subterranean tunnels, customize and decorate your environment. Call your friendly black ants to attack the red ant colony, and most importantly run away from the Spiders. 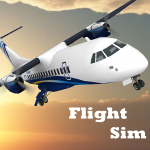 Flight Sim – Take the controls and fly realistic airplanes in this high quality Flight Simulator. Control your aircraft through an endless environment that includes cities, mountains, lakes and farms, or complete one of many missions available. This is a must for any flight simulator fans. Kids Fire Truck – Calling all Fireman, save the town from fires in your fancy Red Fire Truck. Kids Fire Truck requires you to control a fire touret with touch gestures as your Fire Truck Speeds through a burning town. Kids Plane Racers – Plane Racing game for kids, allows them to control the plane by tilting your device, as well as bump the other planes & obstacles on the track. Pirate Sim – Sail a realistic map of the Caribbean as you sink enemy ships and capture enemy towns. Choose one of 4 nationalities and capture glory for your king, or simply become a pirate and plunder everyone. Chess – Free Chess Game featuring great graphics, sound and strong computer opponent. Includes a 3D and 2D, multiple strength options PNG Export as well as game saving.